Walking day 20 and I caught myself realizing that I almost regret to have only 10 walking days left. Somehow the walking way of life is very relaxing: there is nothing to worry about, you simply put one foot before the other and keep on marching. You start in the morning, not knowing where you will end in the evening, but knowing that there will always be a place to eat and sleep. 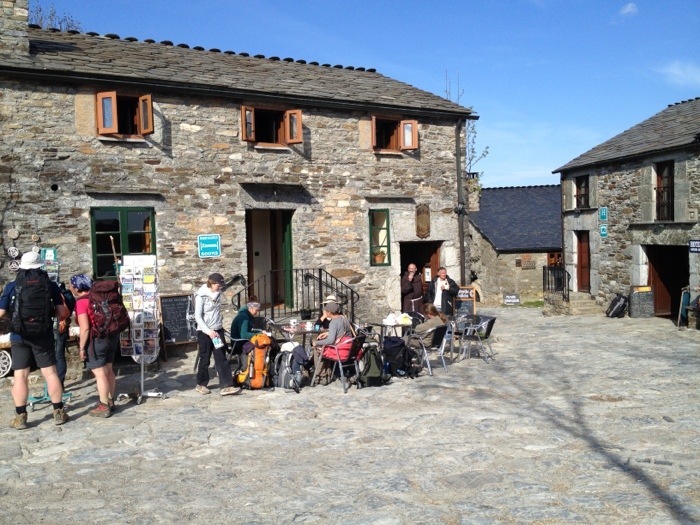 But how much I started to like the walking life I won’t trade it for my life with my loved ones, so on to Santiago and Finisterre and then quickly back home to my family! 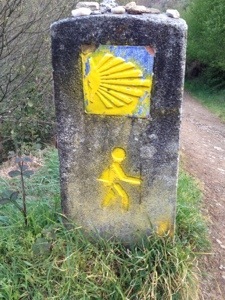 It reminded me of my first day on the Camino, when I met Nathalie. 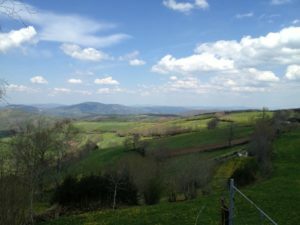 This French girl already walked from Le Puy en Velay to Saint Jean-Pied-de-Port and was at that moment half way of her total Camino to Santiago. She too regretted being half way as she liked the Way too much. 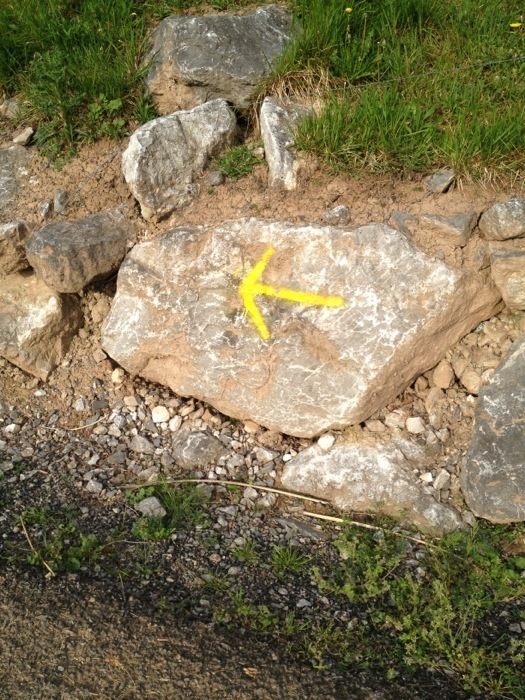 We walked only for an hour together and made a photo of the first yellow arrow we see. 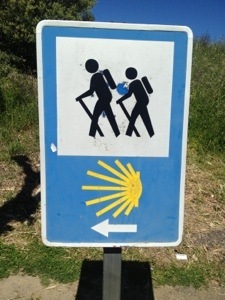 The sign that marks the Camino throughout Spain. 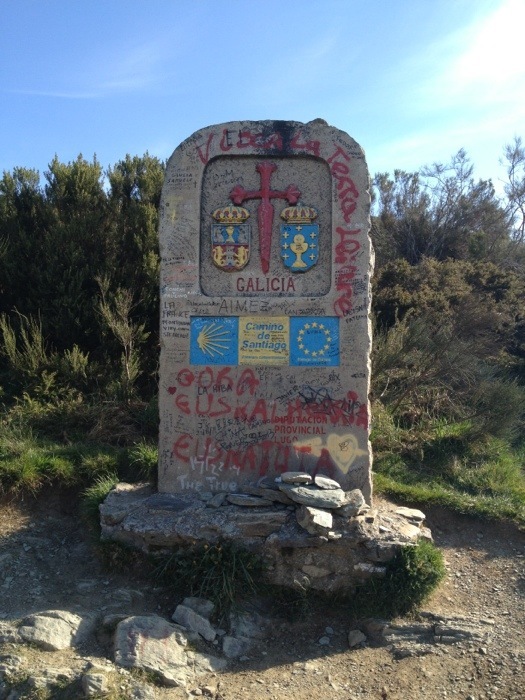 In France the Camino coincides with the GR65 and is marked with red/white striping on poles and trees. So both for Nathalie and myself it was the first yellow arrow. Since then I have seen many more and many variations on ways to guide the way. 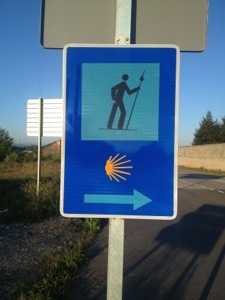 Official signs, less official signs, arrows and markings on the roads to guide Peregrino. Unfortunately some pilgrims seem to have the urge to leave their own markings on the signs and certainly not always for the good. With all the signs the road is easy to find and one can hardly get lost. 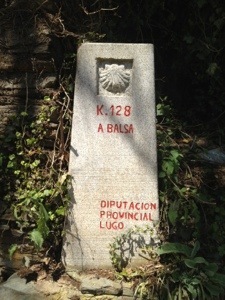 Today I walked from Vega de Valcarce to A Balsa, a very small town just after Triacastela. Here the Dutch Marijn and the Italian Jessica run an Albergue together that is just open for two weeks. Jessica and Marijn met on the Camino and started their new life together in service of other pilgrims. 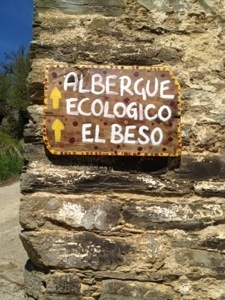 I have been following their efforts to rebuild a house that was close to a ruin into a very nice Albergue. 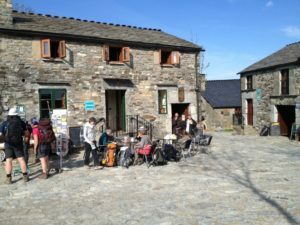 When I realized that I was only 7 km away from their place I decided to continue walking and check in at their Albergue ecológico El Beso. A good decision so far! 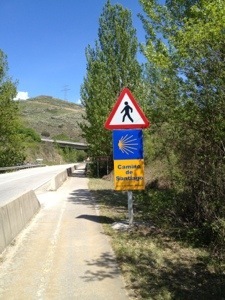 During today’s walk I crossed O Cebreiro and with crossing this pass I entered Galicia. The landscape started to change immediately and I learned later from Marijn that these mountains create a natural barrier that causes the other side of the mountains to have a land climate while Galicia has a sea climate. 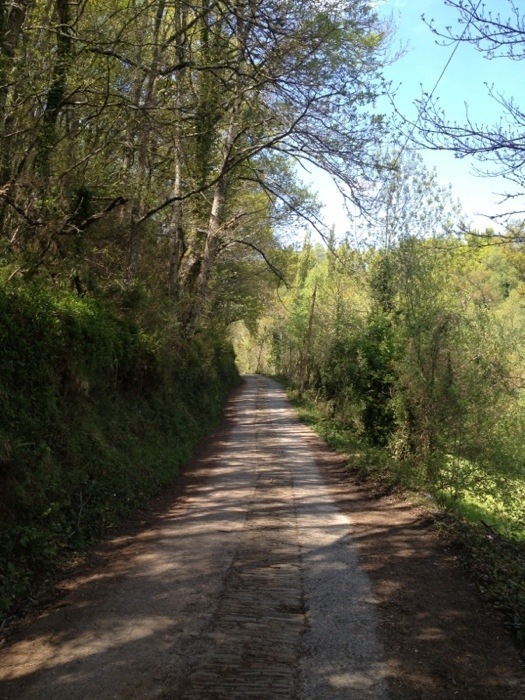 That basically means more rain in Galicia and that shows, the nature is greener and further developed. Again a beautiful walk today!